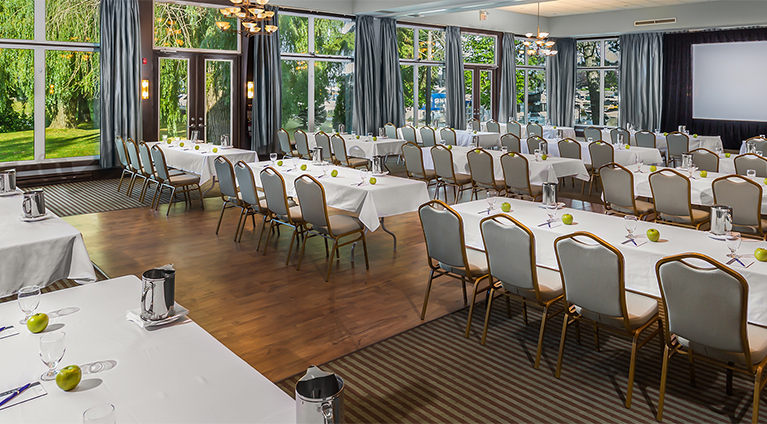 Read what others have said about our unique venues, spacious accommodations, great food and well-executed meetings. "I just wanted to send a warm note of thanks for hosting us at Living Waters last week! Our accommodations were fantastic and we did some really great strategic planning while we were there. We enjoyed two wonderful lunches in the dining hall with great views of the winter wonderland. Your team was warm and very gracious. Thank you for hosting us." "Amazing … The staff provided excellent customer service and were very professional. The hors d’oeuvres prior to dinner was a lovely touch especially for those who traveled from out of town. It could not have been better … Most importantly, please copy Mr. Law on how impressed my family was with the venue, food and friendly customer service." "Everyone has been so accommodating and hospitable and the rooms are wonderful. We have absolutely loved being here for planning this weekend." "Living Water Resorts put on the most spectacular arty at their Bear Estate on December 15, 2018. We booked the event for a staff Christmas dinner, but it was so much more than that. There was amazing food; mystery puzzles themed to James Bond, and live entertainment. Everyone enjoyed themselves so much that I hope they do it again. Thank you to Don Buckle (GM) and your staff for the amazing evening!" "Just want to say thank you for hosting the party on Saturday. Everyone at ARO had a great time. Food was excellent and the game was fun." 1-800-465-9077 ext 280 or amoores@livingwaterresorts.com.